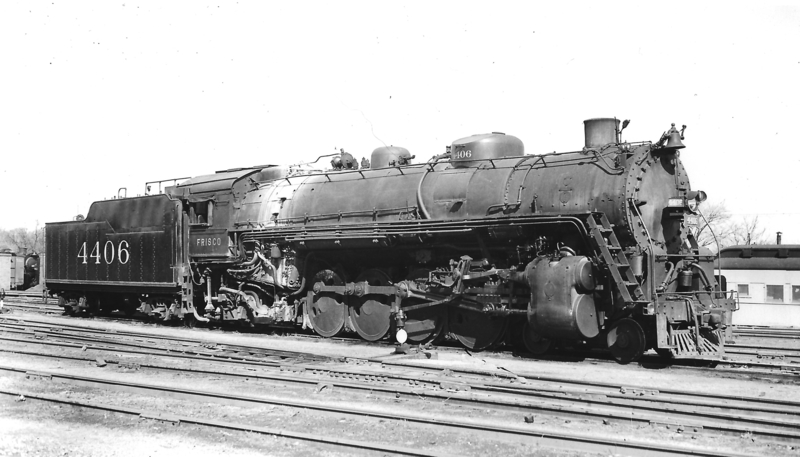 Two views of 4-8-4 4503 at Lindenwood Yard, St. Louis, Missouri in June 1942 (William K. Barham). 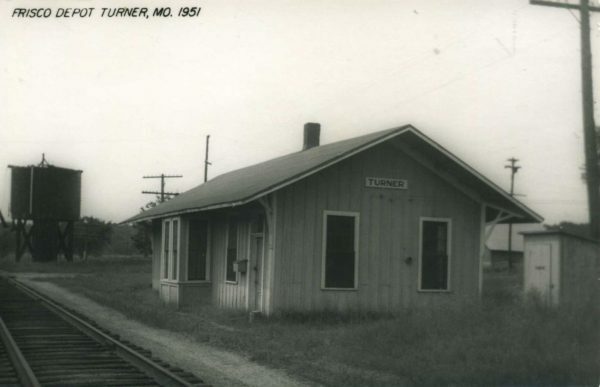 Turner, Missouri Depot in 1951 (Postcard). 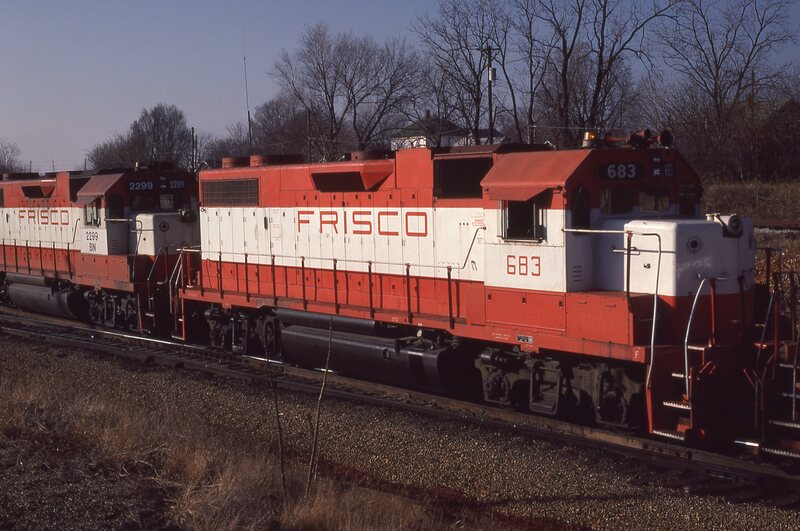 GP38-2 683 at Springfield, Missouri in February 1981 (Mike Abalos). 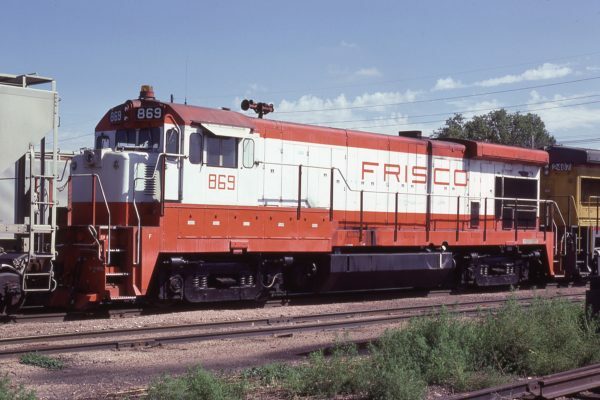 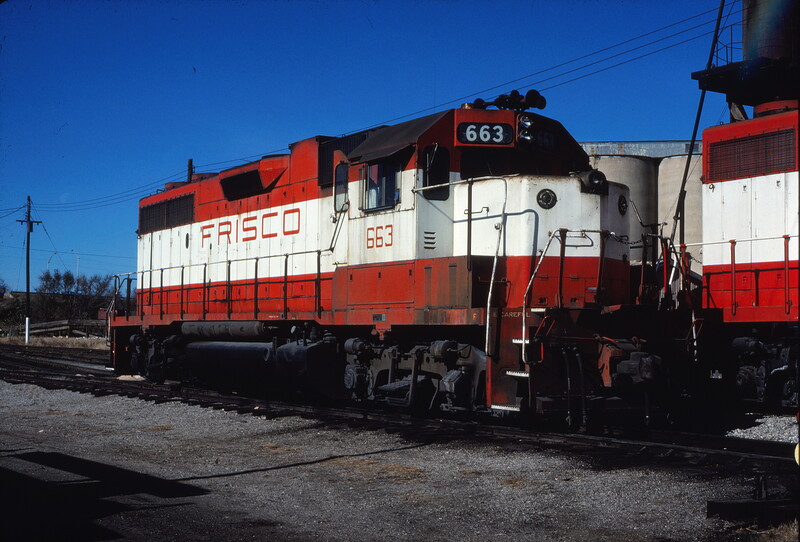 GP38-2 663 at Enid, Oklahoma on December 17, 1980. 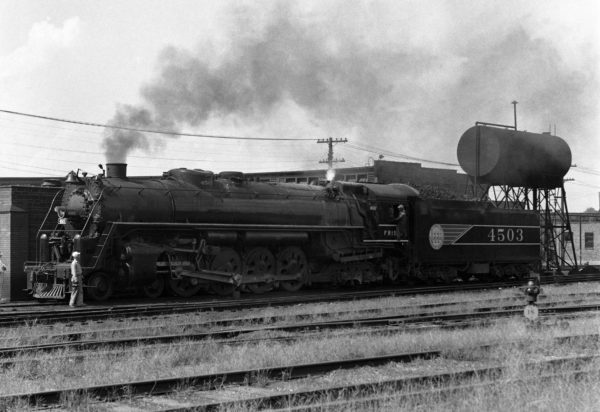 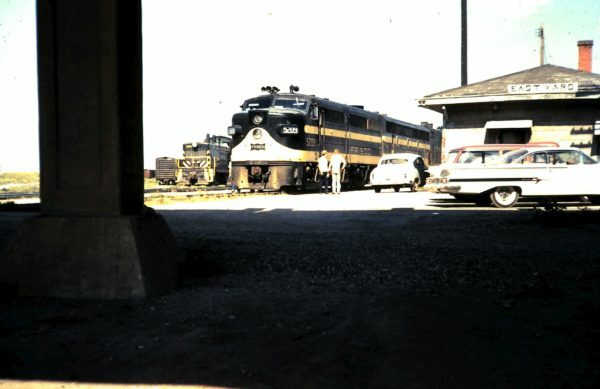 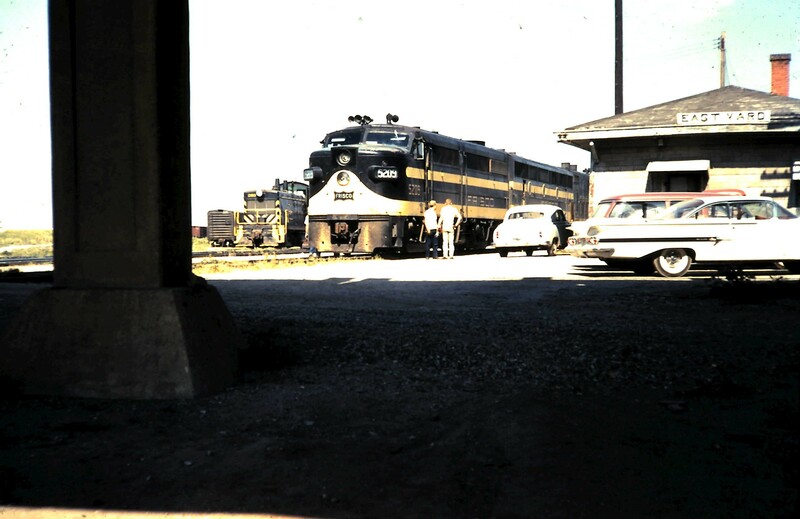 Frisco-built 4-8-2 4406 at Springfield, Missouri on March 18, 1950 (Arthur B. Johnson). 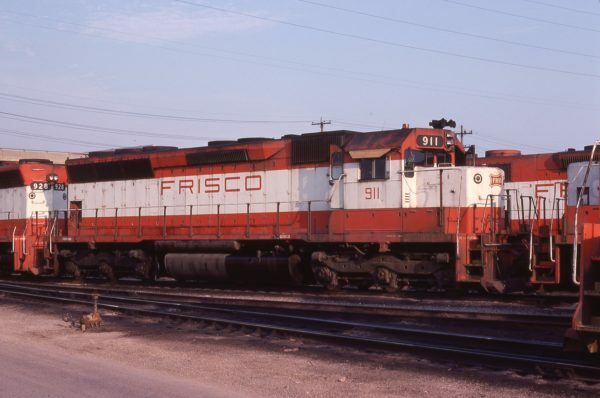 B30-7 869 at Lincoln, Nebraska in September 1980 (J.C. Butcher). 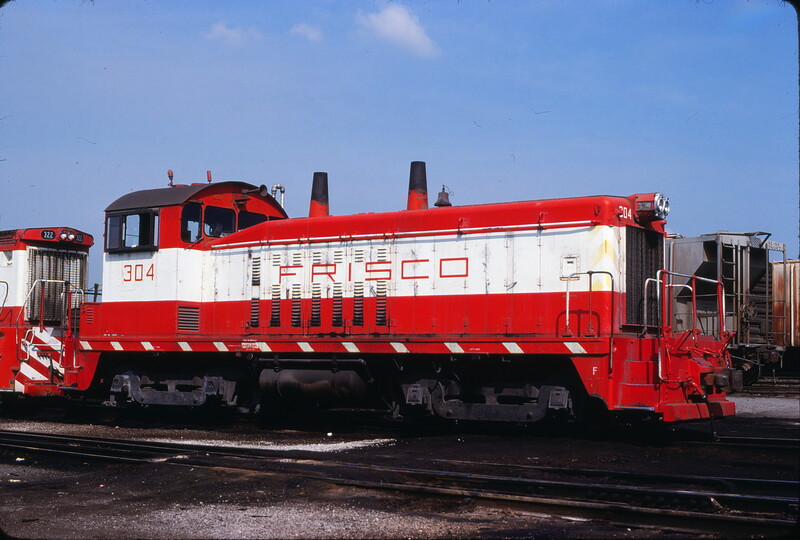 SW7 304 at St. Louis, Missouri on August 30, 1980 (Steve Gartner). 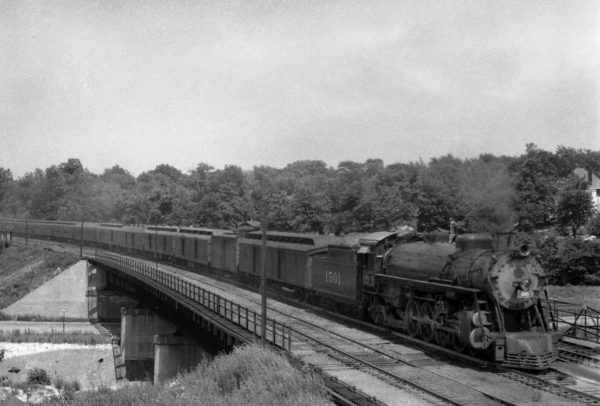 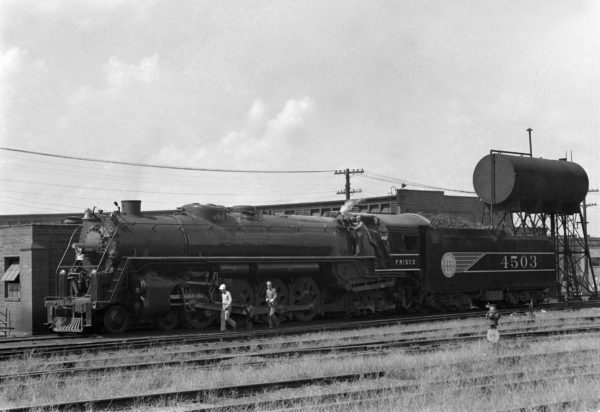 4-8-2 1501 with Train #1 at Southeastern Junction, St. Louis, Missouri in 1940 (William K. Barham). FA-1 5209 (date and location unknown).